Ontario is home to a sizable Amish population along with a prominent community of Old Order Mennonites. Amish & Mennonite furniture craftsmen in the province create a wide range of products for the home and office, often sold through retail outlets. A number of Ontario Amish furniture businesses also sell woodworking sourced from Amish in the U.S., as well as pieces crafted by Mennonite artisans. Ontario dealers provide Amish furniture for sale within easy range of most ON cities, including Toronto, Hamilton, Mississauga, Markham, Ottawa, London, Kitchener, Windsor, Brampton and Vaughan. Find an Amish furniture dealer near you in the directory below. Ottawa lies distant from most Ontario Amish settlements, but there is at least one Amish furniture retailer in the vicinity of the nation’s capital. The Amish Store features an extensive selection of hand-crafted furniture including beds, tables, chairs, benches, hutches, buffets, cabinets, kitchen islands, sofas, couches, office furniture and more. Each piece of product is crafted by skilled Indiana, Ohio and Pennsylvania Amish woodworkers (as well as Ontario Mennonites) using fine woods such as oak, maple, cherry, quarter-sawn white oak, elm, hickory, brown maple, walnut, or wormy maple. A broad selection of stains and finishes available as well. Whether you reside in Toronto proper, or one of its suburbs and nearby cities such as Brampton, Mississauga, North York, Hamilton or Markham, you can find a number of Amish furniture retailers within a short drive. The Toronto area is home to the largest number of Amish woodworking outlets in Ontario. Read more on Amish & Mennonite furniture and communities in the vicinity in our Toronto Amish furniture guide. Simply Elegant Home Furnishings carries a vast selection of furniture made both by Amish and non-Amish manufacturers. Amish craftsmen from Northwest of Kitchener provide a full line of bedroom and dining room furniture, made from the finest woods. Amish Furniture Designed offers dining, living, children’s and office furniture in many different styles including Shaker, New Albany, Sydney, Vienna, New Salem, Brooklyn, Manor or Wind River. Each piece is hand-crafted by skilled Amish woodworkers from high-quality hardwoods giving the furniture durability and longevity. Furniture selection includes mirrors, jewelry chests, beds, dressers, nightstands, dining tables, chairs, hutches, servers, entertainment/media centers, and more, available in woods including oak, quartersawn white oak, brown maple, and cherry. Amish handcrafted furniture available in a broad selection of styles and designs. Their large 9,000 square-foot showroom features bedroom, living room, dining room and occasional furniture, all made from high quality solid woods. AmishLand Canada carries a large selection of furniture and accessories for every room in the house made by different manufacturers including Amish and Mennonite craftsmen. Office, children’s room, bedroom, living room or dining furniture comes in several different styles and are customizable to any specifications. Lying outside the city of Belleville, this store can be reached wtihin about a 90-minute drive from Toronto or within 3 hours from Ottawa. Ontario is the only Canadian province where Amish can be found today. Compared with American states, Ontario ranks as having the #11-largest Amish population, just behind Illinois but ahead of Minnesota. With over 5,000 Amish living in the province in over one dozen communities, Ontario has a thriving and sizeable Amish footprint. Significant Amish communities can be found near the towns of Milverton, Lucknow, Aylmer, and Norwich in Oxford County. 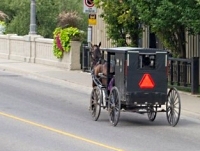 Amish first arrived in Canada in the early-1800s, settling in Perth County in the vicinity of Millbank and Milverton. A later influx of Amish came following World War II, amid concerns of military conscription in the United States (Amish espouse non-resistance as a key element of their practice of Christianity). Amish have previously tried to settle in Canada outside of Ontario, namely in British Columbia, though without establishing a permanent presence elsewhere (read more on Amish in Canada). In addition to the Amish community, Ontario is also home to a large group of Old Order Mennonites. At approximately 4,000 individuals, the Old Order Mennonite presence rivals that of the Amish in Ontario. 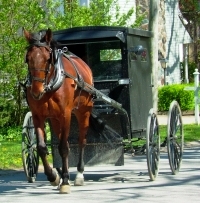 Old Order Mennonites carry similar cultural markers to the Amish, such as plain clothing, horse-and-carriage travel, and a formal education limited to the 8th grade. They also follow similar vocational paths, with many Old Order Mennonites farming like the Amish, as well as operating small cottage businesses. Likewise, Mennonites in Ontario are also active in the furniture business. In addition to Amish woodworking, a number of businesses carry Mennonite-made furniture. In the London area, you are within close range of Amish settlements, including at Aylmer, Mossley, Mt. Elgin, Tilsonburg and Norwich. Besides the Amish furniture retailers listed below, some local Amish shops may also sell their products on a retail basis (though many Amish focus on wholesale production only). Making a day trip to visit a community is often the best way to see what is available direct from an Amish furniture manufacturer. Möbelhaus Furniture & Cabinetry provides Mennonite, German and Amish-made furniture, available in oak, maple, cherry, walnut, pine and even bamboo woods. Hand-built Amish furniture covers variety of styles and designs including Bramberg, Kreuzberg, Colonial Harvest, Contemporary, English Mission, Raised Harvest and more. The Mennonite Furniture Gallery has been in business since 1999, when they started selling locally-made furniture crafted by Amish and Mennonite woodworkers. Both indoor and outdoor furniture products available. This Oak House features solid hardwood Amish-crafted furniture for your bedroom, dining room, living or office area. Each piece is hand-built and come in various designs such as Shaker, Heritage, Mission, and more. Furniture pieces include sofas and chairs, dressers, chests, sleigh beds, nightstands, armoires, chifferobes, lingerie chests, rolltop desks, filing cabinets, computer centers, bar stools, kitchen islands, drop leaf tables and more. Amish-made furniture available among several different non-Amish crafted products. Amish furniture includes rustic-style cabinets, hutches, TV stands, benches. 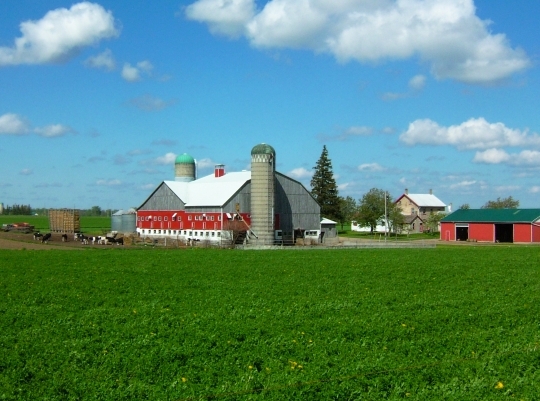 Like London, the Kitchener/Waterloo area enjoys close proximity to a number of Amish and Mennonite communities. The towns of St. Jacobs, Elmira, Newton, Milverton, and Atwood all lie near settlements of Mennonite and/or Amish. Wood Haven Furniture provides Amish and Mennonite-made items including beds and bedroom pieces, chairs, tables, sideboards, entertainment centers and office furniture, available in a variety of styles such as Carlisle, Denver, Amsterdam style, Denver Wing, Glasgow, Dayton, and many more. Several different wood species available (maple, beech, cherry, oak and more). For Amish furniture dealers in the United States, visit the Amish Furniture Stores main directory, featuring extensive Amish furniture retailers’ listings for most of the 50 States. Note to Ontario residents: Please verify hours of Amish furniture businesses featured in this guide. Amish-owned businesses are always closed on Sundays, though non-Amish stores may be open. Business locations and schedules can change; not responsible for changes to information. Amish furniture found in Ontario stores may come from one of a few sources. Some of the Amish-made furniture sold in Ontario outlets is crafted by Canadian Amish themselves. Other stores rely on suppliers stateside, particularly from Ohio, Indiana, and Pennsylvania, the three most heavily-settled Amish states and centers of Amish furniture production. Amish woodworkers in Ontario and America ply their trades in a similar fashion. The norm for Amish furniture makers is the small home-based shop dedicated to creating a line of furniture items, with manufacturers often specializing in a specific type of piece, such as bedframes, tables, chairs, stools, or even children’s furniture. Amish woodworking shops commonly employ a small number of employees totaling in the single digits. Many incorporate family members into the operation, and some may work exclusively on a family basis. Some of the larger Amish furniture businesses expand employment to reach 20 or even 30+ workers, though shops of such size are the exception rather than the rule. By preserving the small-scale approach, Amish furniture craftsmen help assure the quality of the finished product. It’s typical that the Amish owner of a furniture business will contribute labor in a hands-on fashion, working side-by-side with his own employees. Where can I buy Amish furniture in Ontario? Amish furniture can be purchased in Ontario via a variety of venues. The listings above feature Amish furniture outlets throughout the province. Shopping for Amish furniture via a retailer provides convenience, as many are located near large cities, and selection, with retailers typically carrying products from a number of Amish builders. Alternatively, some Amish furniture buyers opt to buy straight from the source. While many Amish stick to wholesale production, some do sell retail. Visiting an Amish settlement in person may be the best way to track down an Amish woodworker who sells direct, and also gives the opportunity for an enjoyable day trip. See above for information on locations of Amish and Mennonite settlements in Ontario. Finally, online Amish furniture sellers provide a wide selection and offer the convenience of shopping from home. Ontario-based Amish furniture dealers providing shipping within Canada, while some American retailers also offer international shipping to Canada. hi, i am a 25 year old unmarried girl, i live in alberta on a hutterite colony, i am a dariusleut girl. i have read so much about amish and am it would be wonderful to have a penpal who is amish. I’m an artist who wants to buy either a full or queen size amish bed frame. would you consider you website one of the best guides and resources to finding and buying one? i’d be happy to hear your opinion and be referred to any other resources. Hi, my wife and I visited a Spa & health resort near Louiseville, Qc, called Le Baluchon. In our room was a beautiful, handmaid Rocking Chair, made of Birch wood. A real piece of art. We wanted to buy one but we were told by the owner that they bought it from Amish Craftsman, but nothing more. Could you help me in my search to find the Artist/Craftsman who made it? I took a picture if it can help. Hi, I am looking for an Amaish woodworking contact in the Windsor, Essex, or Chatham area – thank you. I live in Hamilton, Ontario. I am searching for a craftsperson who can produce a solid interior dutch door at a reasonable cost. Hello, I am looking for a factory where I can mass produce my designs. Prices must be low so my designs can purchased and enjoyed by many.